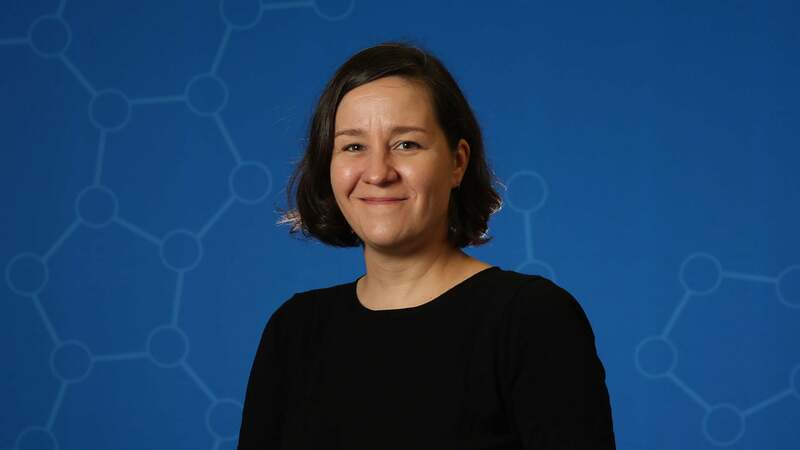 Associate Professor Molly Hammell has been awarded the Chan Zuckerberg Initiative (CZI) Ben Barres Early Career Acceleration Award for her proposed work on amyotrophic lateral sclerosis, better know by the acronym ALS or Lou Gehrig’s disease. CZI co-founder Priscilla Chan (left) speaking with Associate Professor Molly Hammell (right) at the 13th annual Double Helix Medals dinner. ALS is a neurodegenerative disease that causes complete paralysis and eventual death due to the rapid and progressive loss of motor neurons. Hammell proposes to develop machine-learning software that would systematically identify genetic factors and molecular mechanisms that lead to motor neuron death. She will focus on transposable elements—viral-like genomic parasites that normally lay dormant in the genome—that are implicated in multiple diseases, including ALS. The award is a part of CZI’s Neurodegeneration Challenge Network, which connects researchers who are studying neurodegenerative diseases, and encourages a cross-disease perspective. The Ben Barres Early Career Acceleration Award focuses on investigators who are new to the field of neurodegeneration. Hammell is one of the 17 researchers to win the award this year.